We’ve all experienced the drama of dealing with someone who is technically competent to be successful at something but seems to consistently find ways to derail. Managers, you know what I’m talking about. Mary is capable of doing the job yet her consistent negative comments and unreliability has you constantly asking yourself is it worth it to keep her on the team. Some of you are in a relationship with someone who seems like a good match but s/he keeps repeating an undesirable behavior that irks the heck out of you even after you’ve argued about it multiple times. Or you may have a son or daughter who has access to everything needed to build a successful life yet s/he continues to do unbelievably destructive things. All of us have experienced the feelings of wanting to beat our head against the wall trying to figure out why people simply can’t stop repeating the limiting behaviors even after repeated efforts to get them to change. As it turns out, it is not entirely their fault because to change persistent undesirable behaviors is incredibly difficult. And the most surprising thing is this – you are likely contributing to their lack of change success. Repeat a behavior enough and it becomes a habit. Habits are those behaviors that don’t require active thought – things we tend to do on autopilot. Think of how you brush your teeth. You don’t actively decide which side of your mouth you begin with. You just do it. And you don’t change the process unless you’re forced to such as when you’re experiencing pain in your mouth. The same hold true for all habits. They are powerfully resistant to change so much so that people will revert back to them even after experiencing short term pain or inconvenience. That’s why we curse ourselves for doing the norm (habit) even though we knew it would result in an undesirable outcome. The authors of Change Anything provide incredible insight as to why people have a difficult time with change. Their research identifies 6 sources of influence on behavior, and by understanding the 6 sources, you can help people develop a plan that has a much greater chance of success in changing a bad habit. Habits are maintained by powerful impulses, and in the moment in which a powerful impulse hits (called crucial moments), people simply cave in to the urge. It’s not that people don’t want to change, they simply can’t. The urge is too great. The key to resisting is for the person to challenge their thinking when the crucial moment hits, and more than likely, they’ll need a success team to help them resist the urge. When trying to replace bad habits with new habits, the individual is almost always going to need to use new skill(s). Start by dissecting what leads up to the crucial moment(s) that reinforces the bad habits. This will identify areas where new skills are likely required to alter the path to the crucial moment. Habits are also a social disease because the people in our inner circle are powerful influencers of our behavior. The people we interact with on a daily basis help to define and reinforce what we consider normal. 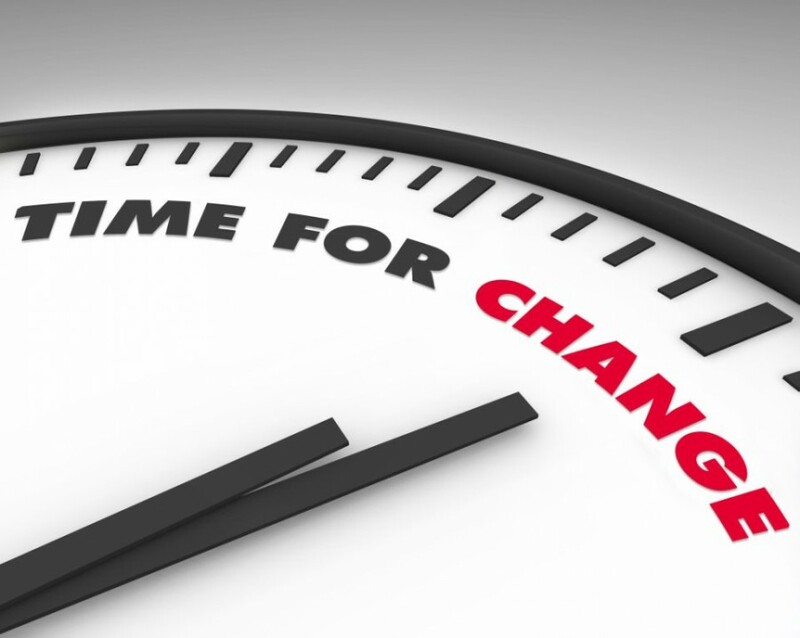 For the person trying to change, s/he must do a crucial step – identify who is a friend of the change (new habit) and who is an accomplice to the status quo (bad habit). S/he will need to communicate the desire to change and then find ways to surround him/herself with those who are supportive of the change. Failure to do so almost always results in failure to change because the person trying to change is effectively outnumbered. If you have 10 people who don’t force the change of a bad habit versus 3 that do, the odds are that bad habit will remain. This is perhaps the most challenging influencer because if you want someone to change, it is hard to accept your contributions to their bad habits. When bad habits are persistent, many people will start to make excuses for those who repeat the undesirable behaviors. When you make excuses for Mary’s negative comments and bad habits, you’ve reinforced the status quo. When you make excuses that your significant other would do better if s/he didn’t have a bad childhood, you reinforce the status quo. And when you repeatedly pay for the speeding tickets your son/daughter keeps getting, you have rewarded the wrong behavior. To change a bad habit requires a clear understanding of how to effectively use incentives to motivate the person to sustain the new, normal habit. Unfortunately, we tend to use incentives or punishments that are too far into the future. When we do, they’re not terribly motivating at all. In fact, most people will ignore future oriented rewards or punishments because we’re motivated by short-term impact. So to help someone change a bad habit, incentives and consequences have to be immediate. Anything less than immediate reinforces the status quo because change is always something we plan to do…just not right now, but in the future. As the authors point out in the book, you must develop a habit changing strategy that takes all 6 influencers of behavior into account because all 6 are working to reinforce the status quo. By understanding the dynamics of change, you can significantly increase your probability of sustained success. At Infinity Consulting and Training Solutions, we specialize in helping individuals and managers develop performance improvement and change management strategies that produce successful results. Email me today at info@ictscorp.com to ask me questions and receive additional insights on dealing with behaviors that derail success.